Examination of diagnostic X-rays (radiographs): Essential for detection of decay, tumors, cysts, and bone loss. X-rays also help determine tooth and root positions. Every patient’s frequency of dental X-rays depends on their risk of decay. This assessment is important to avoid excess and unnecessary radiation exposure. Examination of existing restorations: Check current fillings, crowns, et cetera. 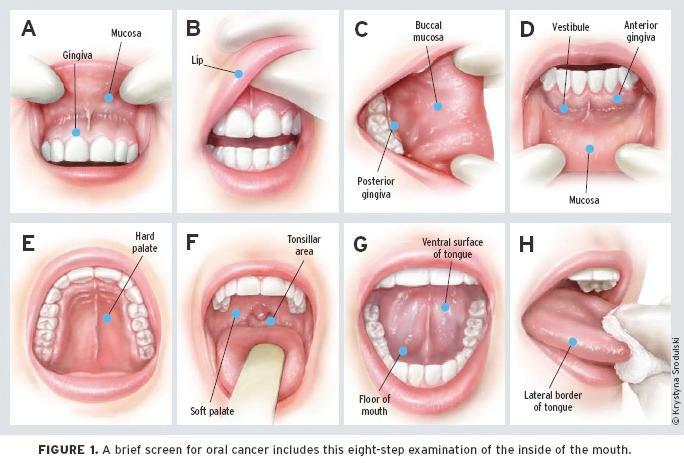 In Canada, oral cancer is the 13th most common cancer (of the 23 reported cancers). In 2013, the number of new cases and death due to oral cancer is predicted to be almost three times higher than that of cervical cancer and almost double the rates of liver cancer. Oral cancers are also predicted to have higher numbers of new cases and deaths in 2009 than stomach, brain and ovary cancers. The five year survival rate for oral cancer is 63 percent compared to the survival rates of cervical cancer (75 percent), melanoma cancers (89 percent), and prostate cancer (95 percent). In 2013, it is estimated that there will be 3,400 new cases of oral cancer and that 1,150 people will die from oral cancer. Men will account for over half of these new cases. • Removal of plaque: Plaque is a sticky, almost invisible film that forms on the teeth. It is a growing colony of living bacteria, food debris, and saliva. The bacteria produce toxins (poisons) that inflame the gums. This inflammation is the start of periodontal disease! Teeth polishing: Remove stain and plaque that is not otherwise removed during tooth brushing and scaling. Keeping a regular routine and pre-booking ahead of time for your dental cleaning and check-ups will ensure that issues are addressed at a regular interval. 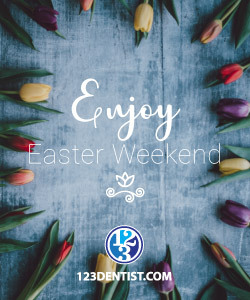 We hope to establish a strong relationship with you and your dental needs in order to treat you and your family.